Psalm 91 is the second most popular psalm thanks to its powerful description of God's supernatural protection which most read as promises for everyday Christian life. Yet Psalm 91 never says it is a promise for a universal audience and what it does say is very specific and parallel to end times prophecy. It describes God protecting only the faithful from extreme conditions in one "secret place." Find out the place's location from how Psalm 91 lines up with the "beginning of birth pains" end time prophecy of Jesus, Revelation and Joel. Why is Psalm 91 the #2 Favorite Psalm Among Christians? 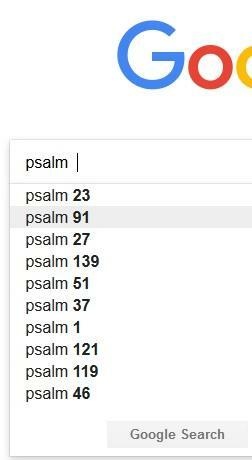 Google top 10 search suggestions for "psalm "
Wow! Where do I sign up, right? It's obvious why Christians like it so much. It describes some very desirable protection given to those God says he knows intimately. It seems to almost offer this very protection to anyone who decides to "dwell" close to the Almighty. Promises For Any, For Now? That's really the key to why this psalm is so popular. Christians read it as a book of promises of protection for them today. For this reason Psalm 91 is known as the "soldier's psalm." Military men often bring a wallet-sized copy of Psalm 91 during their deployment. Mom's pray Psalm 91 daily over their children serving in the military or working in dangerous professions like law enforcement or firefighting. You can find many testimonials online about how professing Psalm 91 has kept people safe whether it be during the Vietnam War or modern wars like in in the Middle East. There are even books that go so far as to turn Psalm 91 into “God's Covenant of Protection” for believers or “the covenant that we have with God if we love and serve Him.” A pastor from Texas has a series of over a dozen books all on Psalm 91. Psalm 91 for children; one for mothers; another for military; others for youth and for kids. It's practically a cottage industry, like Chicken Soup for the Soul. The premise is you just need to "join the covenant" by loving and serving God and all the threats listed in Psalm 91 will be neutralized. If this is the first time you've heard this, it probably sounds exaggerated or fringe. But I'm not making this up. Many people believe in Psalm 91 like this. Really, it's not surprising if you remember how many people believed in "the blessing power of praying 1 Chronicles 4:10" when the Prayer of Jabez book came out full of anecdotal evidence in support of it. It's OK with me if you or others read Psalm 91 allegorically and find comfort in that. I don't judge. Just please understand that this view does not work everyone. Especially when someone steps back from this fantasy view (which I admit we'd all love to be true) and look at it objectively and sensibly. Psalm 34:19 — Many are the afflictions of the righteous: but the LORD delivereth him out of them all. Acts 14:22 — Confirming the souls of the disciples, and exhorting them to continue in the faith, and that we must through much tribulation enter into the kingdom of God. The fact is that the Bible shows God lets the saints have some pretty catastrophic things happen to them. Those who know their Bible well realize that if Psalm 91 was meant as a divine unchangeable promise like that, not only is it silent about that, but Bible heroes like David and Paul sure were ignorant of it, too. Their lives were full of suffering and trials at the same time that they also had clear guidance and help of God. God was with them in everything. The consensus of the Bible is that God does not “promise” us an “umbrella of protection” from trouble. Daniel's three friends knew this. They told Nebuchadnezzar “God is able to deliver us but even if he doesn't, we will not serve your gods” (Dan 3:17-18). Psalm 91 is a good reminder of exactly what Daniel's three friends knew: God is able to deliver us and he may in specific cases, quite impressively. But in probably most cases God does not keep us from trouble. Why? Because it's not best for us and our development to do so. If it was good enough for Jesus to learn obedience by the things he suffered (Heb 5:8), then how much more will suffering teach us? What is Psalm 91 about if it's not a metaphor about divine general protection for all people of all times? Well, what if this psalm means exactly what it says about protection from extreme elements, but in a specific one-time future scenario? In other words, what if Psalm 91, like many of the psalms is a prophecy? 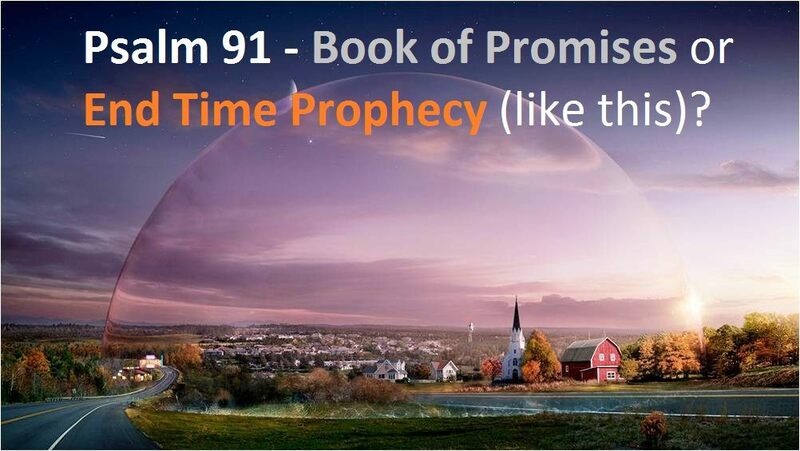 (E.g., Psalm 83) A very specific prophecy of an event in one place and one point in time. With my breakthroughs on understanding end time prophecy literally, that's exactly what I saw in the plain text of Psalm 91 when I reread recently it after many years. Those of you familiar with my book and articles may already know where I'm headed (but you will still want to come along for the ride, trust me!). Birth Pain #3: TEOTWAWKI (the end of the world as we know it): Weak sunlight, cold and famine (Rev 8:13), pestilence (Rev 8:7=Lk 21:11), loss of infrastructure including shelter, power, fresh water (Rev 8:11). Then the Antichrist and Great Tribulation. These are not birth pains, but rather what the birth pains directly lead to happening. The Antichrist comes to power as God and savior of the world (2Th 2:4). How do we survive the above? Well, there is no pretrib rapture to save us (the rapture is the glorifying and ascension of the saints to Heaven) because the rapture happens "after the tribulation of those days" (Mt 24:29-31). Instead, a calling to a single safe place (Joel 2:32) is provided for the faithful (just professing Christ is not enough, it will take faith) along with all the help you need to get there (Rev 12:14=Ex 19:4). Mass gathering of millions of faithful (again, just a very small percentage of the billions of Christians) cannot happen without a prophetic leader to unify and lead everyone. Last time God raised up the prophet Moses to do it. Malachi promises Elijah "before the Great Dreadful day of the LORD” (Mal 4:5) teaching wisdom (Mal 4:6=Luke 1:17) just as Joel says God "calls" survivors to safety in Judea "before the Great Dreadful day of the LORD” (Joel 2:31-32). The linking of these two verses by the unique phrase hints that Elijah is the one who calls people both to repentance and to safety. Let's analyze each verse of the psalm to see its direct parallels to the end time prophecy of birth pains and the protection from them that God has planned. The Setting: "The Secret Place"
Psalm 91 (NKJV) — 1 He who dwells in the secret place of the Most High Shall abide under the shadow of the Almighty. This establishes the subject and setting. We're only talking about people who "dwell at the secret place of God." We may not yet know where or when this is, but we can be sure we're not talking about all people and all places because everyone is not close to God and there is only one "the secret place." If you don't get this from the start, you won't be able to correctly read the rest of the verses that detail radical supernatural protection. You will be tempted to generalize or allegorize the whole psalm just as most Christians do. There is no need to do that as we will see it all makes sense at face value in the context of the "beginning of birth pains" prophecy of Jesus and Revelation. Why We Need a Secret/Shelter Place: "Birth Pains"
Matthew 24 (HCSB) 7 ...There will be famines and earthquakes in [all] places. 8 All these events are the beginning of birth pains. Obviously you won't want to face these events outside the protection of "the secret place of the Most High." With all the Jewish settlements in Judea, it's easy to imagine another one for believers that is set up there. Like I already have said in other articles, location is one of several reasons you're not going to want to go there, especially coming from your comfortable home. By the way, the dispute over Mt. Zion's exact location does not matter for this discussion. If you look at the verses above, you'll see the language is making Jerusalem equivalent to Mt. Zion and then Jesus refers to those gathered there as "in Judea." That tells us it's the Judea area which is one definition of Mt. Zion and a broader definition of Jerusalem. I doubt we'll be in Jerusalem city but clearly not far from there in Judea, which fits the one of the ways the Bible uses the term Mt. Zion to refer to an area, not exactly one mountain. Psalm 91 — 3 He Himself will deliver you from the hunter's net, from the destructive plague. 5 You will not fear the terror of the night, the arrow that flies by day, 6 nor the pestilence that stalks in darkness, nor the destruction that wastes at noonday. We've already covered the effects of Wormwood: earthquake, grey skies, cold, plague, famine and Psalm 91:3 matches up with that. But the verses above also describe the human element by mentioning both hunters and arrows. This other problem is easy to imagine if you have watched popular AMC series, The Walking Dead. After the protagonists of the show got a handle on the food and (zombie) plague complications, the greater threat became other ruthless survivors, including some cannibal tribes. Psalm 91 — 1. ... abide under the shadow of the Almighty. 4 He will cover you with His feathers; you will take refuge under His wings. His faithfulness will be a protective shield. 7 Though a thousand fall at your side and ten thousand at your right hand, the pestilence will not reach you. 8 You will only see it with your eyes and witness the punishment of the wicked. 10 no harm will come to you; no plague will come near your tent. Again, if we take this at face value, it's describing an end of the world situation where the earth is going through cataclysm and its chaotic aftermath. You will literally have thousands dying all around just outside your camp. What's most scary is that it says we'll see them. This means we won't be in a cave or some remote place. We'll be in a populated area where we can see thousands literally dying nearby. Yet we ourselves are safe a stone's throw away from them. How is this possible? Divine force field explains protection from "savage beasts" and the wicked dying around you. The language of the psalm throughout is describing a coverage of protection from God. 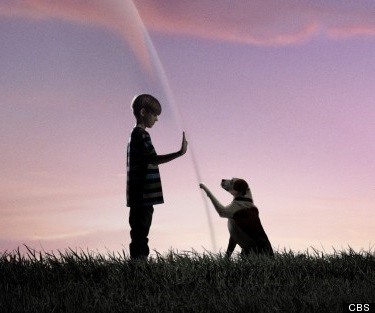 Sounds like a dome shaped force field to me. Angels will be on duty, too, literally. Psalm 91 — 11 For He will give His angels orders concerning you, to protect you in all your ways. 12 They will support you with their hands so that you will not strike your foot against a stone. Angels have been seen in other times of catastrophe such as when Lot was saved, so this fits the scenario. Psalm 91's People "Know God's Name"
Psalm 91 — 14 Because he is lovingly devoted to Me, I will deliver him; I will protect him because he knows My name. 15 When he calls out to Me, I will answer him; I will be with him in trouble. The significance of "he knows my name" is easily lost on Christians because Christianity does not teach about God's name. God has a personal name in Hebrew. It is four letters long and appears 7000 times in the Hebrew Old Testament. God's prophets spoke in this name"(i.e. Thus saith YHVH") and Moses commanded the Israelites to make oaths only in God's name. Israelites referred to God by his personal name more than any other word, like Elohim/God or Adonai/Lord. See my previous article to get up to speed God's "lost" name and its revival in end time prophecy. In brief, Judaism has influenced Christianity along with the whole world to not say God's name, and instead to replace it with euphemisms like "lord." Ironically, this has caused God's name to be unknown to the only people who believe in him and want to serve him and ought to know his name. Joel 2:32 (HCSB) — Then everyone who calls on the name of Yehovah will be saved, for there will be an escape for those on Mount Zion and in Jerusalem, as the LORD promised, among the survivors the LORD calls. As this article and the previous article both argue, there won't be a revival of God's name nor a calling and gathering of God's (faithful) people to one place without one and the same thing: a serious prophet of God. Since Elijah is promised "before the day of the Lord" and Joel talks about someone "calling" people who "call on God's name" to safety "before the day of the Lord" my conclusion is Elijah is the one who will lead this revival and gathering. If you're wondering more on the gathering place and how will we get there, read my previous article. Some who read this article thought I was denying God does the kind of protection described in Psalm 91 for people today or that I'm telling people to not pray for it. That's not what I'm saying. God certainly does protect believers miraculously at times. Many testimonies attest to this and you can definitely pray and have hope for the same in your life, too. My point is when it does not happen and tragedy touches your life, don't be surprised or mad at God. Psalm 91 never promised total protection to you, today, always. I don't see evidence there that Psalm 91 is about Jesus. Satan did not say, "Since Psalm 91 is about you..." which would have been a more powerful argument to make if it were true. Instead he said, "If you're the Son of God..." His obvious point was that since Psalm 91 states God will send angels to save regular people from death, then how much more the Son of God? You see, those who faithfully obey Elijah, leave home and go to the secret place have earned that rare, special status to be kept safe from all mortal dangers at that time. Jesus, as the son of God, also had that status all the time. God was not going to let anyone kill Jesus except and until the crucifixion on Passover day to fulfill the Passover lamb sacrifice prophecy. Satan argued that since the Son of God is someone God won't let be killed (just like those in Psalm 91's secret place), then Jesus ought to prove his identity by testing out God's "fall lifter angels." It was a clever appeal to ego, but it failed. There is no disputing that Psalm 91 is an encouraging reminder of what God is able to do to protect his servants. A few Christians have experienced divine protection like it describes, with bullets or attackers being stopped abruptly. However, too many Christians take Psalm 91 as a "covenant of divine protection" for all. This despite how it does not name a universal audience nor make any promises in it, like other passages (e.g. Ps 34:19). As such, although appealing, this view does not work for people who try to read Scripture at face value without adding to it. What Psalm 91 does plainly say includes incredibly specific descriptions of specific extreme conditions and threats bringing death to tens of thousands of wicked people. It also gives a specific secret setting of protection for the righteous to survive at, who says "know God's name." These three points line up with the end time prophecy of Joel 2 about supernatural protection in Judea from Wormwood and its aftermath. This protection is also only for the faithful who got there by responding to the call of God's prophet call upon God's name, a name they know unlike Christians today. In that context, Psalm 91's odd details like "ten thousand dying by your side" can now make perfect literal sense. They line up with the end time prophecy of God's plan of protection from the Wormwood catastrophe which will level the earth and kill most of the population. 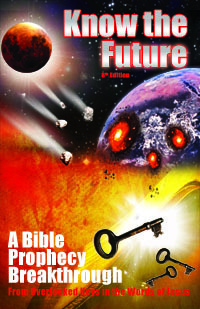 For a complete literal understanding of all the key end time prophecies like this one, to support your comprehension and support my work writing these free articles, please get my book Know the Future. Sounds like if you are on Mt Zion or in Jerusalem, the escape will be made for those people. Doesn’t say people (believers) everywhere. What do you think? Randy, Joel 2:30-32 says God will “call” survivors there for protection. Believers everywhere will hear the call but few will leave home to a settlement in Judea. I read your submission on the prophetic meaning of Psalm 91 with great interest and fascination. However, I would like to find out from you how God’s people from all over the world are meant to reach this safe place near Jerusalem in Judea. Considering that the majority of Christians now and probably at the time may not be financially buoyant enough to afford the plane trip for them and their families. So does that mean that God will only save people who have the financial means to get to this safe place in Judea? David, The majority of Christians will not be coming because they have no faith or discernment of the Word of God. The rest you are right, God must help financially, and that’s what is indicated as my previous article covers. those specific questions are answered in Tim’s book . I suggest you would do us a favor by not using red ink for your quotes and comments. It makes them hard to read. Thanks and keep up the good work for as long as possible. I love reading them like this you should write more of them i say so it open peoples eyes. keep up the good work. Boy, if there was any ever doubt about the place of safety, this sure shores it up for me. Interesting this is such a popular verse and well….I apparently don’t read psalms enough. That’s going to change! As usual great article. Can’t wait for the May and June supporter articles! Love this and your book It’s a gift of inspiration. Thank you!!! As soon as I began to read this amazing article about Psalm 91, Daniel 12:4 came to mind: “But thou, O Daniel, shut up the words, and seal the book, even to the time of the end: many shall run to and fro, and knowledge shall be increased,”. You are actually fulfilling Daniel’s prophetic words by cracking the code on the true meaning of Psalm 91. Of course, the word “knowledge” refers to Biblical knowledge, which will be the only knowledge needed to “escape all these things”. Thanks be to YHVH for your incredible ministry. May it continue to inspire and educate all those seeking HisTruth. I play die zauberflote (the flute, not the opera). It has a gift of the Holy Spirit. I am currently locked out and excluded from the classical musical world. I live in Minnesota. The Lord has directed me to play the flute everywhere I go, whether or not in performance. I believe He is creating a Petra in the Twin Cities. Pamela, I have heard many Christians over the years express belief that God is creating “local places of safety in the US,” typically in the area they live, just like you. Unfortunately, written Scripture tells us that America will burn completely to the point that no one is left alive in the country, like Sodom and Gomorrah (Isaiah 13:19=Jer 50:40=Rev 18:21-22). This is why it says to “come forth from her” (Rev 18:4). But you don’t have to trust my interpretation. Elijah will come and proclaim this clearly to fulfill that verse. Even looking at geography it wouldn’t take much to ignite the whole entire North America to blow up in an hour. The gas reserves are only about fifty feet down and all these years of getting gas by pumping in water…well, now it’s all drilling sideways…so that it’s all connected…and at 11% “ready to go”. Only the middle east has the solid submerged mountain (30,000 feet) that can crack and divide (Mount of Olives), east/west, so that we can walk through. But you must be there! This Essay on 91′ makes sense but then again, so does most of Scripture when we remember, ” CONTEXT”. All too often we attempt to interpret the Bible from a rather egotistical approach. The egotistical approach is to combine our life experiences, our past or present Church doctrine(s), personal interpretation as given one via ” revelation” from the Holy Spirit ( often without two or more witnesses ) and the consensus that many arrive at by spending too much time in Chat Rooms with folks in which we agree . When I repeat Tim’s method of stopping at line #1 of Psalm 91, my Brake Lights come on, yes ? Each subsequent verse then falls into a logical and pertinent place when I realize that Line #1 is a SPECIFIC PLACE that has conditions as a result of being in that FINITE location. The “Psalm 91 Insurance Policy” approach didn’t work for us in the early 60’s while living in Florida during the air raid sirens we heard as kids due to the results of the ” Missile’s of October” – Cuban Missile Crisis. If Psalm 91 was a generic provision for God’s People during a crisis, why were we ducking under our desks and making plans to drive great distances to avoid something that Psalm 91 would protected us from ? We didn’t have any real consciousness of Psalm 91 provisions as thousands of us mapped out places of refuge or literally built Bunkers in our backyards. Psalm 91 ONLY WORKS in context. Thanks Tim for another Scripture Pearl. The ‘secret place’ has come to be described as your prayer time under the talit or prayer shawl that has the ‘fringes’ at the corners as described by Yehovah. And the protection under His wings, again a reference to the fringes,… and the Son of Man shall arise with healing in his wings. Just a theory I have read. I agree that only those who call upon His name, YHVH will be those who truly know Him. Remember that Jacob and Esau were very different, and that Jacob was described at ‘living in tents’ … the talit looks like a tent and was referred to as a tent when used for prayer. Perhaps, the time spent under the prayer shawl was what made the difference in God seeming to pick Jacob for his headship of the tribes of Israel ? The secret place is in your prayer tent,or tallit,it is the shadow of the El Shadai, his wings and feathers.His truth is his word.Our shield and buckler.He is our habitation,our refuge,our fortress.Yahweh El Shadai,Yahshua our salvation,and his Holy Spirit.Amen,Shalom. Kerry, yes it may on another level reference a prayer tent AND good luck staying alive in that metaphorical tent when hunters, arrows and plagues are around you and trying to take your life and stuff. A secret protected place with 10,000 dying around you, but not you, fits the context more completely. Hunters as in people hunters? How are they around or they won’t last? JK Kelly, how are there going to be people for the Beast to Mark unless there are survivors among the wicked and unfaithful? Tim I am not near as studied on prophecy as you are, but perhaps you could comment on the possibility that a hiding place could be a self-sufficient country setting……growing ones own food, having simple implements for life that are easy to maintain self-sufficiently…..basically a close-economy type of life that isn’t vulnerably dependant on outside inputs as the current American-Style life is so vulnerably dependant? Perhaps God will open up doors (financially and otherwise) for his people to escape pitfals and vulnerabilities of a city, town, or village life, to be able to make their way towards a life that is an echo of the original life he intended in Eden? I think there is many reasons why a country lifestyle could provide a barrier of protection from the many fatal possibilities forseeable in the populated areas. This typically would be in hilly or mountain places that modern agriculture has had difficulty stomping on and wiping out nature. There has always been reasons why a wisely executed country lifestyle trumps a life in a populated area. Just a thought, and I think this might become increasingly apparent as the days go by. Any thoughts? Ken, no details are provide about how God provides for the 4-5 years that we are in his care for Wormwood and the Great Tribulation. I imagine it will be a combination of common sense self-sufficiency like you describe plus supernatural provision (Rev 12:14 eagle’s wings), perhaps even manna again. All I know is God says there will be a place prepared to feed us (Rev 12:14) and from Psalm 91 there will be wicked people nearby dying while we live. A garden of Eden, as God’s origional WILL for mankind and the earth and all creation… comes to pass. Very interesting interpretation of Psalm 91. I am curious though how this would fit in with Matthew 24:37-51. In that passage Jesus presents a world oblivious to His near return. Even the true disciples are warned they could be caught by surprise. How could that be if we are under a protective dome in Jordan watching the world fall apart around us? “Therefore be ye also ready: for in such an hour as ye think not the Son of man cometh.” Such a scenario would tend to keep one ready, I would think. Jesus also compares the endtime to the days of Noah where life seemed quite normal until the end actually came. Matthew 25 follows with the parable of the 10 virgins all asleep when the bridegroom comes. I’m having trouble reconciling these verses with the article here. Seems like there is a big element of surprise with the return of Jesus. Ron, when “Jesus said be ready because no man knows the time” he was speaking to the present and later audience, but not an eternal one. We will know the time at some point as many Scripture numbers detail like the 1290 days, which is why he did not say no man “WILL EVER” know the time but remained in the present tense. This may have already been referenced in other articles you’ve written on this topic, Tim, but I couldn’t find it anywhere. You (Yah) turned my wailing into dancing; you removed my sackcloth and clothed me with joy, that my heart may sing your praises and not be silent. Lord my God, I will praise you forever. The only problem I have with your analysis of Matthew 24 is that you put World war 3 before Wormwood. In the book of Revelation Wormwood comes before World war 3. Wormwood- Rev. 8:10-11. World war 3- Rev. 9:13-16. Taiwo, WWIII is not in Revelation. Rev 9 speaks of WW4 when, after the Antichrist and 10 Rulers destroy America in WW3 (Rev 18) they have to put down Russia and China, the heirs to America’s throne. OK. Didn’t know there would be a World War 4. Mr. Tim, do you agree that Matthew 24:29 is a parallel to Revelation 6:12-14? Taiwo, Absolutely not. Rev 6 is pretrib (Rev 9 is Great Tribulation) and Mt 24:29 is “after the tribulation of those days.” Matthew is missing this detail, but Luke 21:11=Rev 6:12-14. Tim, about calling on the name of the Lord, what about the name above all names? Lord Yeshua, or Yehoshua? I wonder if you might soon start writing in an inclusive manner. There are quite a few more countries in the world outside of “America”. Your audience is world-wide, not just USA/America. I understand what you mean and read your prose accordingly. Even though USA is going to be destroyed and people will be called to come out of her, my reading of the verses indicates that people will be called to the secret place from all over the world, not just from the USA. Pete, Gladly. Fixed. It’s just a slip when I’m writing too fast since I’m American and most of my audience is. Note also I have no editor. Please report any other places you encounter and I will fix them too. Your teaching and explanations of Scripture are invaluable. Thank you again for what you do. You’ve helped put the puzzle together for so much of my own studies for the past 30 years and confirm much of what I have learned also. I have this one question in my mind that I do not have an answer for: Obviously we have a lot to go through…sometimes it looks like too much to bother with…so why should we even want to? Since Paul says – rephrasing: “if I’m alive or dead I’m with the Lord”. Believe me, I completely believe in spreading the Good News until my time is up so I don’t plan on leaving anytime soon… but when it all hits the fan? If I trust in my God’s love…I don’;t have the answer…Thanks for any insite. Blessings my friend! Michael, this question shows you don’t understand salvation vs. reward (don’t feel bad Christianity does not teach this). If you overcome and endure until the end, your reward will be greater in the Kingdom; i.e. among the “great” instead of “least” (Mt 5:19-20). Plus you’ll have a testimony with stories to share from the climax of this age that people will love hearing. Believe me it’s worth any suffering for what we get with Yehovah, always (Rom 8:18)! Thanks, I see what you are saying. I came out of a very controlling church in 2007 and punishments were taught rampantly even to the point that I wasn’t even sure salvation was available for me : I wasn’t” perfect enough”. Rewards wasn’t in their vocabulary. It took a miraculous awakening from God and his plan to be rescued from it to get myself and family out. We are still working to correct some of the effects of the spiritual abuse. God is fathful, you are a blessing! Tim, As I read this article I was struck by a profound sadness in that we will have to watch/see people outside the dome of protection, dying. I feel it will be a huge test of our faith that this is God’s will. Because, aren’t we commanded to love everyone as ourselves? When I think of being filled with love for my fellow man, and not being able to help, it brings me to tears. As always, thank you for sharing your wisdom of the scripture. Brenda, it’s going to be hard for us all to leave people behind and also see people die who are around us in Judea. But despite loving them, we cannot people who disobey God. It helps to remember that God gave them life and can take it away and also he knows they will live again in the resurrection, so their death is just a temporary suspension of life until then. Interesting stuff about specific timeline prophecy, new one on me. I have to admit I don’t have the full gist of 91, but I do love it. I do know that this is how protection from our adversary is supposed to work,but I will always disagree with you and everyone else that God “allows” these attacks. To me that means He agrees with suffering. Not for me . I see suffering as always from the adversary, always to kill,to steal and to destroy. So I will always hide in that secret place of the Most High, and when the storm from hell passes, launch a devastating counterattack. Been like this for over 50 years, and I never get tired of seeing the devils fall. I fear the Name of the Lord, nothing else. Joe, thanks but no offense, but you’re in denial and every verse I could show you about, yes, a good God “allowing suffering” on purpose and even sending it towards us intentionally (!) (1Kings 22:19–23) would be filtered or explained away by your mind. No, God does not agree with evil but he created a world where it can flourish SO that we can come to the same conclusion as him through direct contact with evil ourselves. It does not make God evil to teach his children using all the necessary tools, yes?